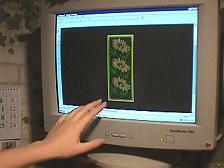 Step One: Open our "Sunflower" file and transfer it to the memory card of your embroidery machine. 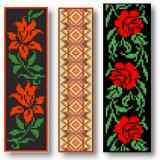 This and other similar designs you may find in our Bookmarks section. Step Two: Use a hoop of size 5.2" x 7.2" (13x18 cm). Cut a piece of fabric of around 6" x 8" (15x20 cm). 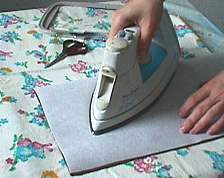 Step Four: ...and iron it onto the back of the fabric. Step Five: Hoop the fabric and stabilizer. 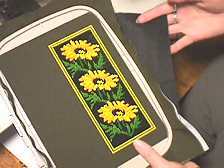 Step Six: Select the required colors, using the description in the color chart that came with the "Sunflowers". 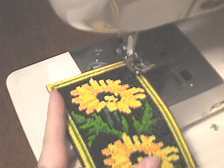 Step Seven: Install the loop onto your embroidery machine and embroider each color in turn, as shown on the photograph. Step Eight: At every pause, carefully take the hoop off and remove all jump stitches. 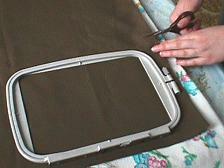 Step Nine: Before embroidering the final color - the frame - stretch some material across the back of the embroidery. 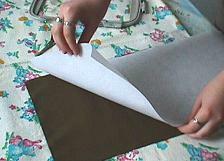 This can be cut-away stabilizer, canvas or flannel: it depends on what you're going to use the emroidery for. 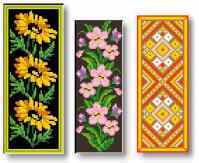 A glasscase requires silkier fabric, a bookmark -- something stiffer. 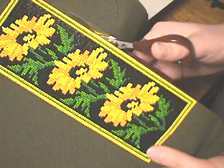 This hides the threads at the back of the embroidery. 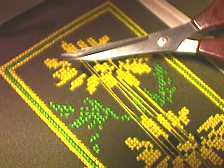 Step Ten: Remove the finished embroidery from the machine, take it out of the hoop and cut neatly along the edge of the motif. If this is a bookmark, you are basically finished. 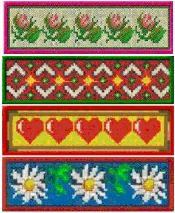 You can add beads, ribbons and tassels for decoration, if you wish. 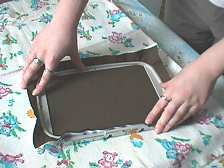 If you are making a glasscase, repeat steps 2-10 and then continue with steps 11 and 12. 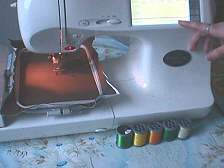 Step Eleven: Press the two embroideries together, back to back, and sew them together on your machine with a compact zig-zag. Make sure you sow the corners together first. 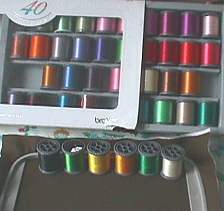 Use the same color of thread as the border. Step Twelve: Your glasscase is ready!